You received your tax refund, but now what? Find out how you should prioritize your 2016 tax refund. As daunting as it is, there's at least one thing you can look forward to during tax season: the arrival of your tax refund. During the 2015 tax filing season, the average tax refund was $2,797 -- that's enough money to buy five Apple Watches, treat yourself to a Caribbean cruise or snag a couple of VIP tickets to the Coachella music festival. The urge to splurge your tax refund on something "fun," like tickets to a music festival, will probably be strong once you receive your check. However, it's important that you take a good look at your finances before your blow your tax refund on something nonessential. Otherwise, you might regret not using your refund for more important goals, such as building up your savings or getting out of debt. Even the smallest tax refund can help pay a portion of outstanding debt, like a mortgage, car payment, credit card balance or student loan, giving your principal power over high interest. If debt is your biggest financial worry, you should consider devoting your entire refund toward paying it off, since a four-digit refund can help make a lot of progress in several of the above examples. 2. Pad your emergency fund. Experts say that everyone should have three to six months' worth of money saved up to cover emergency expenses -- but that's not the case for most Americans. In fact, GOBankingRates recently found that 62 percent of Americans have under $1,000 in savings. Without an emergency fund, you're vulnerable to all sorts of unexpected occurrences -- unemployment, a medical emergency, a hefty car expense, just to name a few. Build up a $1,000 cushion by depositing your entire tax refund into a savings or sub-savings account for emergencies. If you've decided to save your tax refund, do it tax-free. Go beyond the rainy day fund, and look into investing the money in a tax-deferred Individual Retirement Account (IRA) or 401k. Many tax refund recipients mistake their new gains as "free money" and forget that it's money they've already earned. Putting it toward your retirement means you will be spending it on yourself -- eventually. Your tax refund can also act as a foundation for other investments, even if your check is less than $500. There are plenty of small investment options out there -- including individual stocks, mutual funds and dividend reinvestment plans (DRIPs) -- that you can try with your tax refund. And don't forget that a three- to four-figure tax refund is more than enough to satisfy the minimum opening deposit requirements for many certificate of deposit (CD), money market and high-yield savings accounts. One way to spend your tax refund selfishly without wasting the money is to invest it in yourself. This could mean anything from taking a class at your local community college to getting certified for a skill to put on your resume. The payoff is that you'll get to experience something that enriches your life and advance your career down the line. 6. Consider giving to charity. Your tax refund might be the only chance you get to include philanthropy in your budget. Not only is it personally fulfilling to give money to others in need, but acting selflessly is proven to make you happier and physically healthier, too. Plus, if you donate money to a qualified charitable organization, you could potentially reduce your taxable income and lower your tax bill for next year. If donating to charity has been a desire of yours for a while but you're undecided on what cause or organization to donate to, set your refund money aside in a separate savings account until you've made a decision on how you'd like to divide the funds. 7. Spend some of it on yourself. All of this doesn't mean it's wrong to spend the money on yourself. If you've managed to meet all of the above financial needs with money left to spare, you deserve to treat yourself to something you've always wanted -- think of it as a present, from you to you, for working hard all year long. What's more, splurging a little has been proven to actually help you save money. Keep in mind that if you're receiving an unusually large tax refund, you might be withholding too much on your W-4 -- and the experts are divided as to whether that's smart. The good news is that you can alter your income withholding at any time by filling out a new W-4 form. You can also estimate what kind of a refund (if any) you're likely to receive for 2016 by using a W-4 salary calculator. Take a copy of your 2015 tax return, a recent pay stub, and play with the numbers to gauge how much you're comfortable withholding. 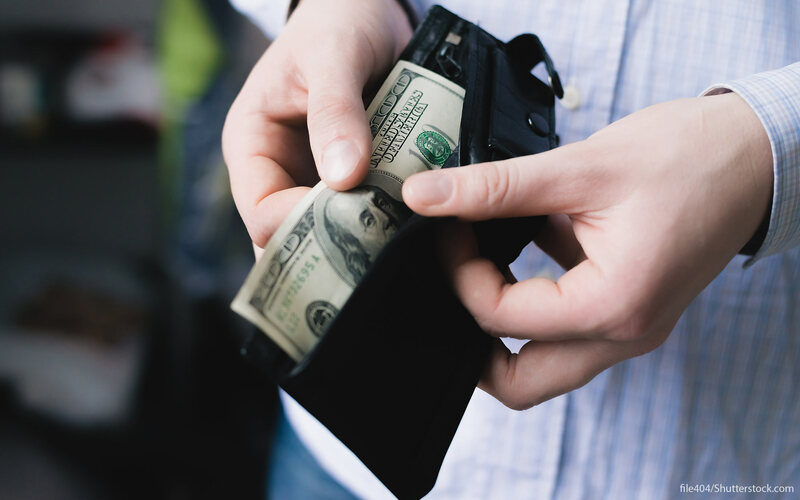 Examining these financial steps might not give you as much instant gratification as spending your tax refund in one fell swoop, but the smarts, security and savings that one tax refund can offer are worth every penny you've worked for.